HBO’s upcoming limited series adaptation of Wally Lamb’s 1998 novel I Know This Much Is True has added six significant names to its existing cast. 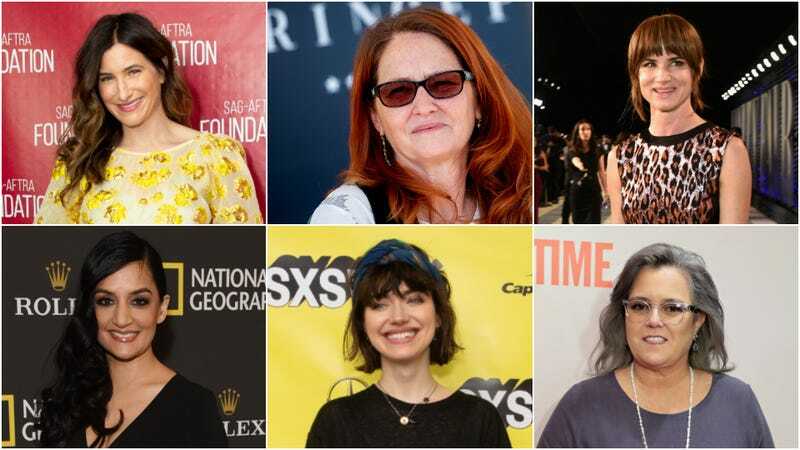 That ensemble, which to this point has consisted of Mark Ruffalo and also Mark Ruffalo, now expands its roster to include Kathryn Hahn, Melissa Leo, Juliette Lewis, Rosie O’Donnell, Archie Panjabi, and Imogen Poots, The Wrap reports. The six-episode adaptation will be written and directed by Derek Cianfrance (Blue Valentine, The Place Beyond The Pines). The story centers on Dominick Birdsey (Ruffalo), a man whose twin brother, Thomas (also Ruffalo), has been diagnosed with paranoid schizophrenia. Leo will play the mother of the twins, while Hahn and Poots will play Dominick’s ex-wife and current girlfriend, respectively. Lewis plays a “self-absorbed grad student” who works for Dominick, O’Donnell, a social worker at the hospital where Thomas receives treatment, and Panjabi, Thomas’s new psychologist. As if he isn’t busy enough, Ruffalo will also executive produce. I Know This Much Is True has been in development for a couple of years now; this announcement is a big step toward seeing the “epic story of betrayal, sacrifice, and forgiveness” on our variable-size screens.